1. 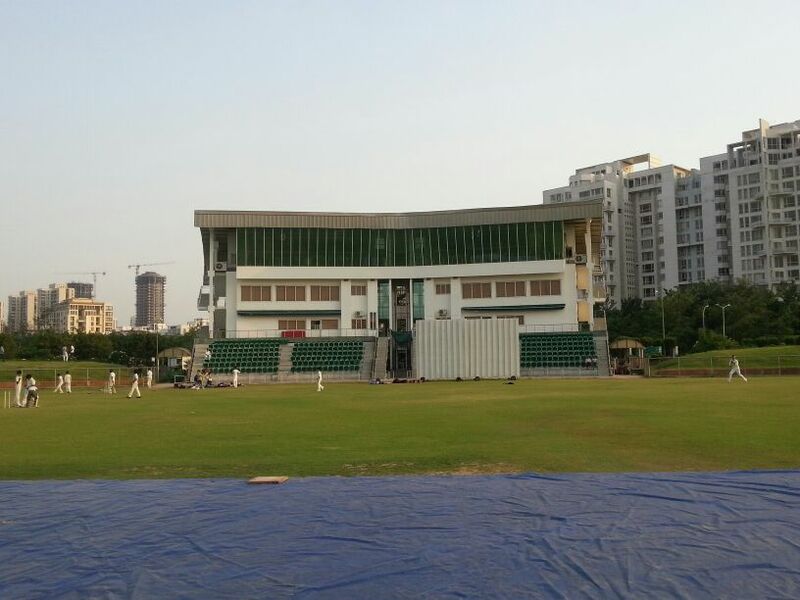 Cricket Stadium: An International Cricket stadium with a pavilion having facilities of two dressing room for playing teams, two rooms for Umpire, one media conference room, seating capacity of approx 8,000 as of now in form of earthen spectator tours, around 400 as in form of stadium chairs. A VVIP / corporate box for a beautiful sighting of a cricket match is also available. 2. Bowling Alley: Future Provision for bowling of 12 lanes, as of now Gym, badminton, Table Tennis & billiards are the games for which bowling Alley being in use. 3. Tennis Complex: One tournament tennis court, four practice tennis court, 2 basketball practice court, 2 volleyball practice courts are operational with synthetic turfing. 4. Indoor Stadium: It include the provision of one olympic size swimming pool, one warm up swimming pool, playing arena on first floor to be used for multipurpose sports facilities. 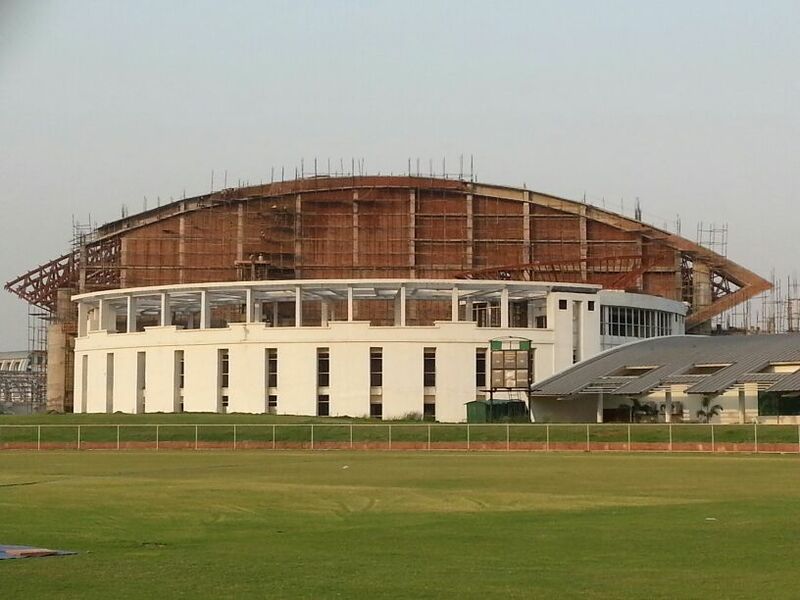 (All indoor games like badminton, basketball, table tennis, billiards etc) Seating capacity of whole indoor stadium is approx 6500. Is also include the provision of club facilities like restaurant, card room, creche, suites, open terrace party lawns, library etc. with Gym and squash court as well. 5. Athletic Pavilion: Football ground surrounded by a 400m running track is situated with this athletic pavilion. Synthetic turfing over running track is in provision for future.